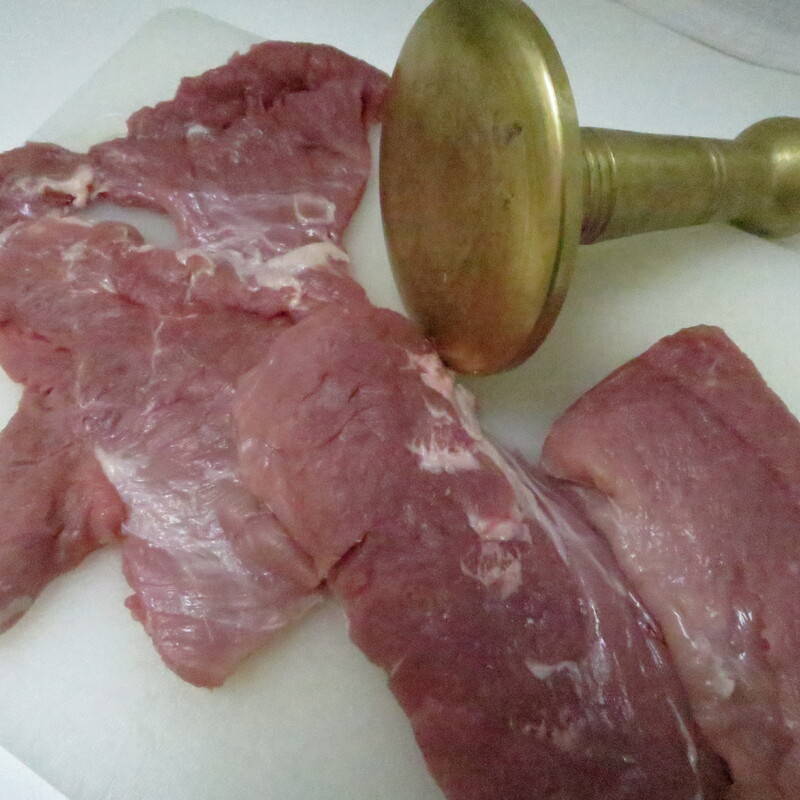 Put the pork filet on a chopping board and with a sharp knife trim away any bits of white tissue or fat. Cut the filet in half, then open out each piece, so that you have four pieces. With, either a rolling pin or a meat mallet, flatten out each of the pieces until they are quite thin – about half a centimetre. Take three bowls. In one put the beaten egg and season with a little salt and pepper. In another the flour, adding seasoning, and in the last one the breadcrumbs. 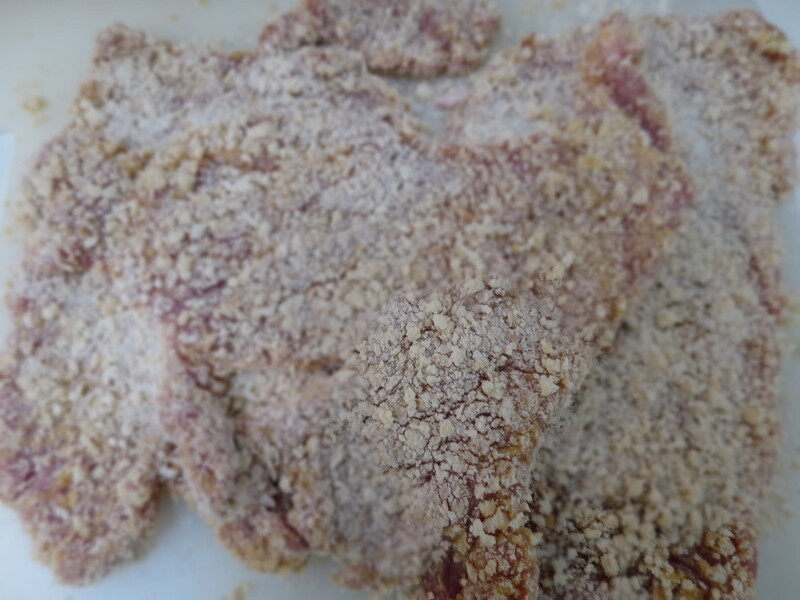 Now take the flattened pieces of meat, and dip each one first in the flour , then the egg mixture and finally in the breadcrumbs. 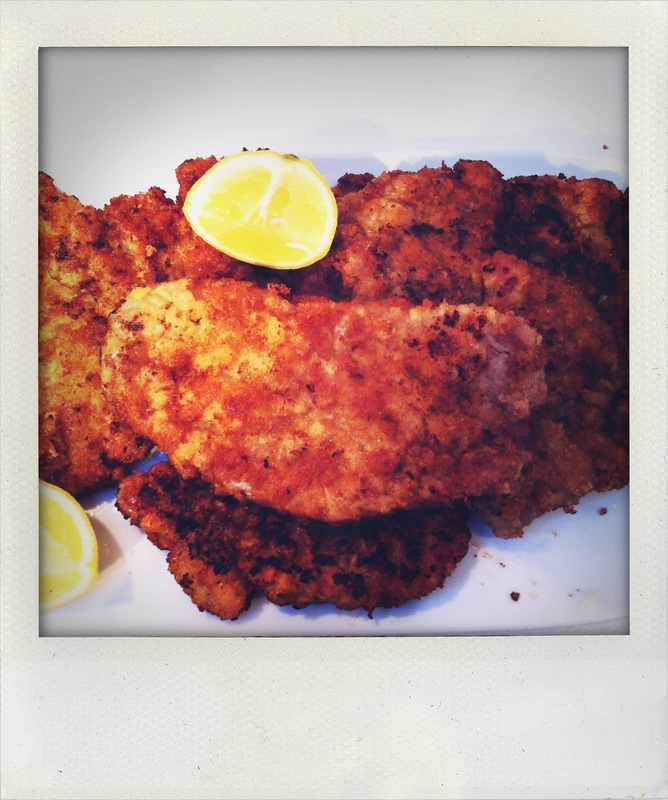 In a large frying pan, heat 5 – 6 tabs of sunflower oil. Drop in a small piece of bread to check that the oil is sizzling hot. 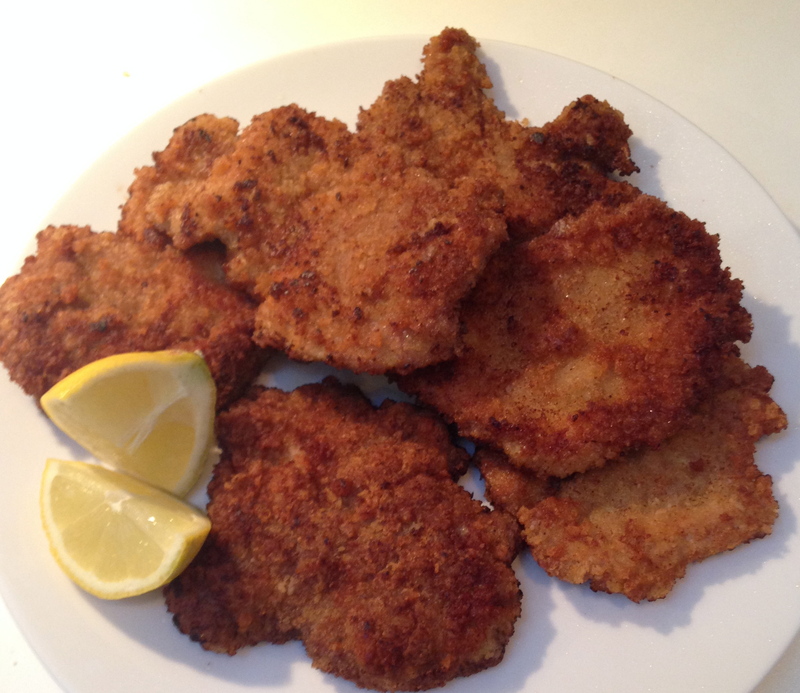 Now add the crumbed, pork pieces – hopefully you can fit two at a time in the pan. It is important not to overcrowd them though. Turn down the heat, so that the outer crumb layer doesn’t burn before the meat has cooked through. Turn the pieces of pork over every few minutes until they are crisp and golden on both sides. Repeat with the rest of the meat – you may need to add a bit more oil to the pan. Serve with chips and a Greek salad.